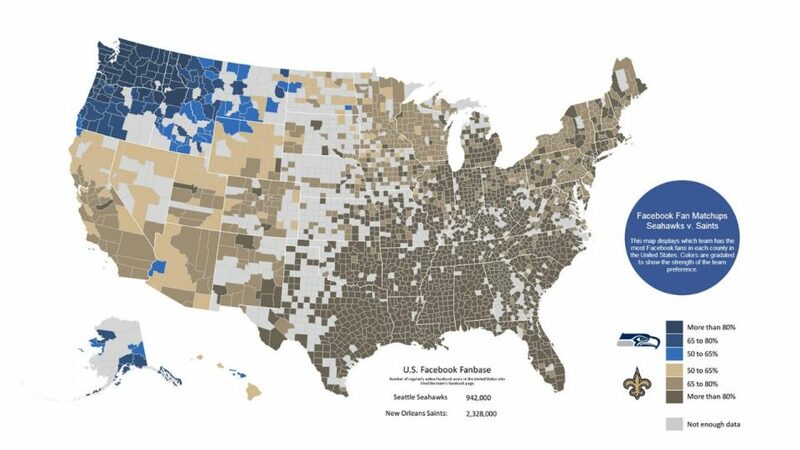 NFL Divisional Playoffs: Who Are Facebook Users Rooting For? With the National Football League’s divisional playoff round set to kick off Saturday afternoon, Facebook shared data maps with Fox Sports revealing which teams its users are rooting for in the four games this weekend, by county. 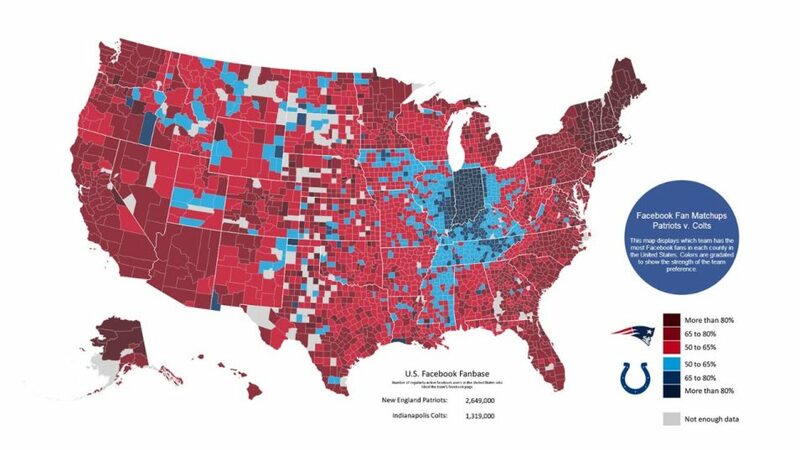 San Francisco 49ers at Carolina Panthers (above): The sports network pointed out the overwhelming trend toward the 49ers, as well as the isolated Panthers area in Texas’ Colorado County. San Diego Chargers at Denver Broncos: The Broncos dominated this matchup on Facebook, and Fox Sports pointed out that opposing fans tend to make up large chunks of the crowd at Chargers’ home games in Qualcomm Stadium. 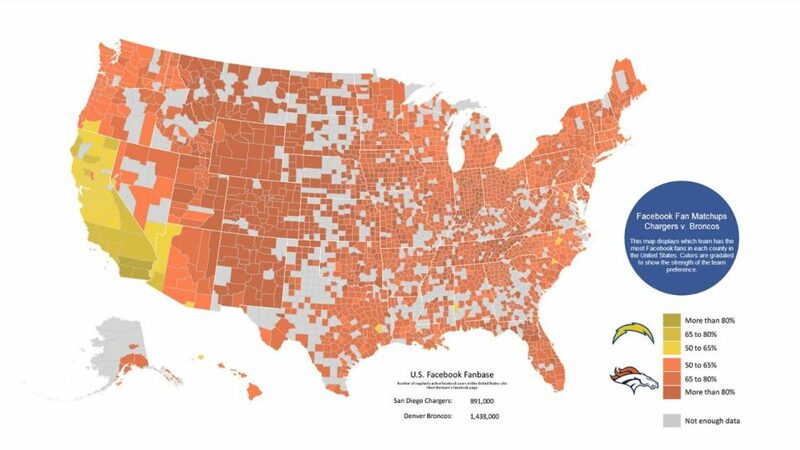 New Orleans Saints at Seattle Seahawks: Not too much Seattle blue showed up outside of the Pacific Northwest. Indianapolis Colts at New England Patriots: The Patriots enjoyed a healthy advantage over the visiting Colts. Readers: Who are you rooting for this weekend?